It's 1905, and the new century overflows with opportunities for the smart, the strong, the confident, and the determined. All words that describe Hope Birdwell to a T. Her first twenty years had their share of trouble and torment, but she's certain the next twenty hold only promise. Hope leaves her past behind and heads for Wyoming to take up homesteading. Never mind that she's alone in the world and has never known a real home in her life. Her name is Hope, and she's sure that a bright and independent future waits right around the corner. Until the long reach of perverted violence from a brute she would rather forget gets in the way of her dreams. And the warmly distracting appeal of friends and community tries to compromise her independence. And the loving attention of a handsome young man causes her to falter. 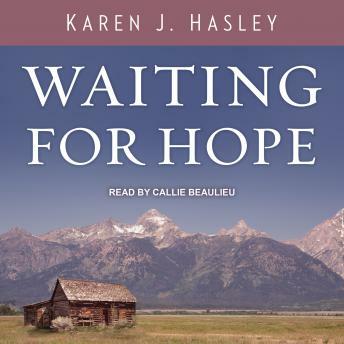 Hope is poised at the edge of a bright future, if she can only protect herself and the people she's grown to love from the deadly menace of her past. She'll go to any lengths, risk all her dreams and plans, to make things right. Unless it's too late for that. Hope Birdwell will discover some surprising truths in the wilds of Wyoming: that there's danger in deception, freedom in sacrifice, and a cost to love.